I have enjoyed this juice on and off for over 10 years now and its one of my favorite brain boosting juices. It also boasts exceptional health benefits and tastes delicious. Below is a recent article and recipe that has been circulating on the web lately about the benefits of juicing certain veggies and fruits. Need a good Juicer? Click here. This MIRACLE DRINK has been circulating for a long time. It is worth your while to take note. There is a celebrity Mr. Seto who swears by it. He wants to make it public to draw the attention of people who have cancers. This is a drink that can protect bad cells forming in your body or it will restrain its growth! Mr. Seto had lung cancer. He was recommended to take this drink by a famous Herbalist from China. He has taken this drink diligently and has seen his health is restored. Thanks to this drink! It does not hurt for you to try. 2. Used by many for liver, kidney, pancreas disease and ulcers. 3. Strengthens the lungs, heart and may help regulate high blood pressure. 4. May strengthen the immune system. 5. Good for the eyesight, eliminate red and tired eyes or dry eyes. 6. Helps to eliminate pain from physical training and muscle aches. 7. Along with other juicing, helps detoxify the body, assists bowel movement, and constipation. Therefore it will make skin healthy and LOOK more radiant. It is a God sent for acne problems. 8. May improves bad breath due to indigestion, throat infection. 10. Assists Hay Fever Sufferers from Hay Fever attack. This is highly nutritious and it easily absorbs! Very effective if you need to loose weight. You will notice your immune system will be improved after 2 week routine. Please make sure to drink immediately from the juicer for best effect and use it in combination with other fruit, greens and vegetable juicing. These statements have not been evaluated by the FDA and as such shall not be construed as medical advice implied or otherwise. No claims are made with respect to treatment of any physically diseased condition and no attempt is ever made to dissuade individuals from seeking medical treatment for any condition. In addition, this equipment, technology and products have not been evaluated by the FDA, nor are they intended to treat, cure, mitigate, diagnose or prevent any illness or disease. Is it alright to drink it chilled and prepare it the night before? Or should be taken fresh straight away in the morning? Thanks! B.my clothes do not fit the way they use to. a friend of mine sent me this miracle drink recipe via e-mail. I have tried it, It is delicious and refreshing, but the produce we get in the bahamas is not organic? I know you mentioned that Beets, Carrots, Apple should be organic. Lack of organic Vegetables and fruit , how much of a set back will that be, health wise, to continue taking this miracle juice. I want to loose abou 15 lbs weight, also reduce slight trace of blood pressure, and will add exercise to the program. Organic is best because you are not eating fruits treated with pesticides. But in the absence of organic, then use what you have available, just be sure to soak your fruits and veggies in a little lime and water and scrub well. I have just started taking this drink through a friend’s recommendation. Thhough I don’t have any medical condition, it is just too delicious..
Hi, thanks for this wonderful website. I tried to read through the answers to see if my question was already answered, but there is just too much to read! My dear friend’s mother has had a hard time, to put it mildly. She had kidney problems, was put on all kinds of drugs to help it, but then we think the drugs have caused her to have stomach cancer, which we are told has spread a little to her liver. She had a bleeding ulcer, and had radiation treatment for 10 days. She is an incredibly strong woman, despite all she’s been through. My question is…you said that this miracle drink causes weight loss. For someone like my friend’s mother, who is already too underweight, would drinking this juice cause more weight loss? First off I am very sorry to hear about your friends mom. I will pray for her and for your friend, that Gods hand would carry her through this rough time. Its not easy be so sick, I cant imagine the hardship. But as with all things in life I believe we live through these things for a reason and I know there is a great bright light at the end of the tunnel once the suffering has passed. I would recommend that you check with a natural doctor first before doing any juicing as certain fruits and veggies act as detoxers. And if she did standard cancer treatment and starts drinking detoxing juices, the toxins released could flood her liver and cause more damage. So you must do several other things in addition to juicing to ensure that the body can release the toxins without causing further damage. I recommend you read through my cancer sections listed below, for amazing treatment info, recommended books and oncologists that treat cancer naturally. I hope this information helps your friends mom. Hi I would love to try this juice,i take one rod herbal tablet every morning on an empty stomach will the juice interfere with this in any way?and is this juic good for energy levels? Sorry ment to say rhodiola herb. I cant seem to get any raw beetroot in the supermarkets where i live in Ireland organic or otherwise. could i use cooked organic beetroot? and beetroot juices EVERY morning, EVERY day? can this be given to a patient of brain tumour and prostrate cancer? the patient stomach is sensitive, so should it be given on filled stomach to avoid any ulcer pains? I am not a doctor but I have been juicing for about 25 years now. 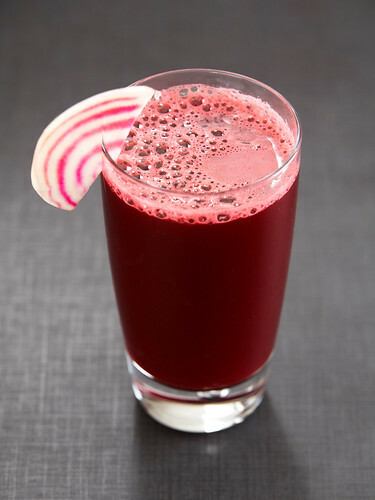 The benefits of carrot, beet and apple juice are confirmed from my own experiences with raw vegetable juice. It certainly is a “Miracle” working combo. Juicing raw vegetables, especially Carrot Apple and Red Beet combo can strengthen your immune system as well as lead to a marked increase endurance and athletic performance. I have some gallstones (with pain) ,does this juice have benefit to dissolve stones? I’m excited to discover this site. I want to to thank you for your time for this particularly wonderful read!! I definitely loved every part of it and I have you book-marked to look at new information on your web site. I was extremely pleased to discover this page. I need to to thank you for your time for this particularly fantastic read!! I definitely enjoyed every little bit of it and I have you book-marked to check out new information in your blog.